The performance of the receivers from different manufacturers varies – one receiver may perform very well in one aspect, but not that as well against other criteria. There is no single clear “winner” on the HSGPS receiver market. The year 1978 saw the launch of the first Global Positioning System (GPS) satellite. Today, GPS, as the first and currently only operational global navigation satellite system (GNSS), is widely used and is a vital technology for many of society’s economic, scientific and social activities. Applications can be found everywhere, such as spacecraft navigation, geodesy, surveying and mapping, precision navigation, machine guidance, vehicle fleet management and “intelligent transport systems” (ITS), emergency services and “location based services” (LBS). Clearly the development of GPS has revolutionised what are now termed “positioning, navigation and timing” (PNT) activities. Although GPS will soon be joined by the next operational GNSS – Russia’s GLONASS, as well as two future competitors – Europe’s GALILEO and China’s COMPASS – GPS dominates the world GNSS market. 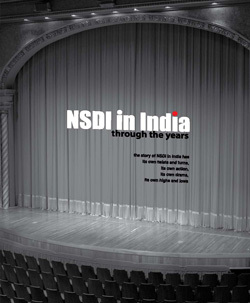 This is especially the case as far as the mass market ITS and LBS applications are concerned. All new smartphones have a built-in GPS chipset. GPS works fine everywhere where there is clear sky, so that at least four direct (line-of-sight) GPS signals can be received. However, in many difficult signal environments –where the satellite signals are weak (-172dBW) and multipath is severe, such as urban canyon and indoors – a conventional GPS receiver often fails. So-called “high sensitivity” GPS (HSGPS) receivers have been developed to improve PNT availability under difficult signal environments. In addition, many HSGPS receivers accept “assisted GPS” (A-GPS) messages in order to reduce the time-to-first-fix (TTFF) and possibly increase the sensitivity even further. There are a number of HSGPS receivers available on the market, and their performance, in terms of TTFF and accuracy, does vary. After a brief review of HSGPS receivers and A-GPS principles, this paper evaluates several HSGPS receivers: ublox LEA-4P, Navman Jupiter 32, ublox EVK-5H and SiRF GSCI-5000. Several tests were carried out, one is a static test, for which an Open Source GNSS Reference Server (OSGRS) was used to provide the A-GPS assistance messages. Kinematic tests were also conducted, in which the receivers were installed on a car to test their performance in urban canyons. Several mobile phones, e.g. 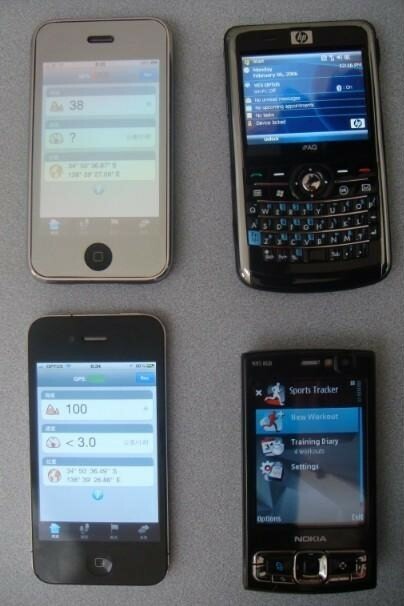 Nokia N95, HP iPaq 914c, iPhone 3GS and iPhone 4, were also tested. The TTFF, positioning accuracy and the sensitivity to weak signals was investigated. There are two fundamental operating modes of GPS receivers; the first is normally termed “acquisition”, and the second is “tracking”. The latter then enables “positioning” if enough satellites (a minimum of four satellites in the case of 3D positioning) can be tracked, providing a position, velocity and time (PVT) solution. A receiver will remain in this state until it is either turned off or cannot track enough satellite signals. In the acquisition mode, (if no assistance data can be obtained) the receiver first assumes that a satellite is visible and a channel is allocated for this satellite. There are two search unknowns: the exact frequency of each satellite carrier frequency which is changed by any Doppler shift, and the alignment of the receiver and transmitted pseudo-random number (PRN) codes . The Doppler frequency shift is caused by the relative movement of the receiver and the satellite, as well as any drift in the receiver oscillator. Since the Doppler is unknown, the receiver must search across a wide frequency range, typically 30 or more Doppler “bins”. If using time-domain acquisition, the receiver will try to align the local PRN code generated by the receiver with that transmitted by the satellite. It typically takes one or more seconds to search each Doppler bin . After a satellite signal has been acquired, it can be tracked and the receiver decodes the broadcast navigation data: the time, the orbit ephemeris, the almanac, and other data. The almanac is used to identify the locations (and Doppler shifts) of the other satellites in the GNSS constellation. The ephemeris of each satellite must be obtained to calculate a PVT solution. It takes between 18 to 30 seconds (depending on the start point for decoding) to extract the ephemeris information from the modulated navigation message. However, if there are signal dropouts or loss of any data bits in the message, it takes a much longer time to extract the complete navigation message. In a very difficult signal environment it may even be impossible to perform this decoding operation in a conventional GPS receiver. •	Strong signal strength: > -172dBW. Receivers have a clear view of the sky, operating in open fields or in low rise residential areas. •	Weak signal strength: -172dBW to -180dBW. Environments are very noisy, such as in forests under dense tree foliage, indoor environments near windows, and urban canyon areas. •	Very weak signal strength: -180dBW to -190dBW. Only very weak reflected and multipath signals can be tracked, examples are inside office buildings and multistorey car parks, or where receivers are operated well away from windows and doors. Conventional GPS receivers work well in strong signal environments, but have difficulties, or simply do not work at all, in weak and very weak signal environments. There are two common ways to improve the “sensitivity” of a GPS receiver. One is simply to increase the time for the integration within the receiver of the received signal. Conventional GPS receivers integrate the received GPS signals for 1 ms, which is the duration of a complete C/A code cycle. This limits the ability to acquire and track signals, only able to operate with signal strengths down to around the -160dBW level. The integration time can be increased up to 20ms. The ability to predict a bit transition in the navigation message makes possible much longer coherent integration, say several hundreds or even up to a thousand milliseconds. The use of non-coherent integration techniques can help overcome the problem  . However, only increasing the integration time may lead to an intolerably long searching period. Increasing the number of the correlators enables the use of fast and “deep” GPS signal search techniques . For example, the ublox-5 chip has more than a million correlators . This information can be used to assist in the detection of signals from the visible satellites by allowing for the calculation of the exact frequency of each satellite carrier signal due to Doppler shifting. However the alignment of the PRN code between receiver and satellite requires very accurate time (much better than 1ms), which is normally not available. A-GPS can improve the TTFF, increase the signal sensitivity and hence increase the signal availability . The Open Source GNSS Reference Server (OSGRS) provides an alternative to commercial A-GPS reference data solutions. The OSGRS is a Java application that provides data for Assisted-GPS/GNSS clients. It is cross-platform and provides client applications with current, relevant and specific assistance data. The GNSS Reference Interface Protocol (GRIP) is utilised by OSGRS. GRIP defines the structure of the HTTP POST request, as well as the structure of the XML document in the body of the request . The OSGRS was used in the HSGPS tests reported here. Eight HSGPS receivers/mobile phones were used in the tests (Table 1 and Figures 1a, 1b). 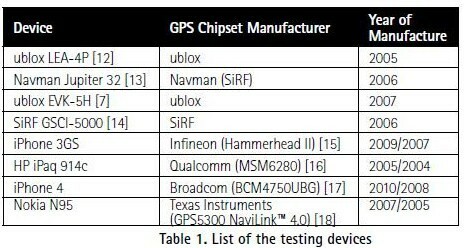 Mobile phone manufacturers use the GPS chipsets on the market, though there is generally a two year gap between the announcement of the phone (Table 1 column 3, the first date) and the release of the GPS chipset (Table 1 column 3, the second date). All devices were A-GPS enabled. In the HSGPS receiver documentation the commands used for A-GPS can be found (typically proprietary binary protocols)    . However, it is extremely difficult, if not impossible, to access the built-in GPS chipset. Hence only four HSGPS receivers could be tested in A-GPS mode. Six test positions with known coordinates were selected around the University of New South Wales (UNSW) campus. Fig. 2 shows some test positions, the picture in the middle also illustrates the typical setup of the A-GPS test. A broad range of environments can be found in the campus. All six test positions are either located in urban-like environment or indoors. Table 2 gives details of the test points. At each test position one standalone HSGPS receiver (the ublox5) was tested. 100 “cold starts” were requested by the test software, and data were logged on a laptop computer. To average out the influence on the results of the number of visible satellites and their geometric distribution, the 100 cold start tests at each test position were conducted in four groups; each group consisting of 25 tests. 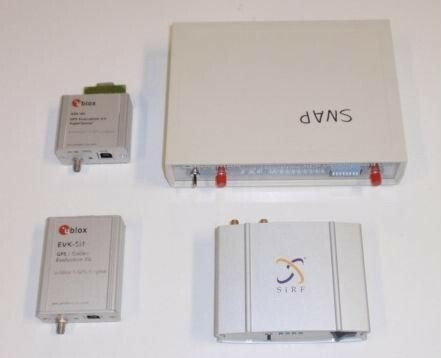 All four HSGPS receivers were tested in the A-GPS mode. The OSGRS was used to provide the assistance messages. There were a total of 4 times 600 location results (at 6 test positions) for the A-GPS tests. When assistance was provided, the ublox EVK-5H receiver performed better. The average TTFF decreased to about 2016s and the average number of satellites increased to 6.2. The positioning accuracy was about the same, while the failure rate drops significantly to 9%. The performances of the other HSGPS receivers vary. For example, the SiRF GSCI-5000 performed the best in terms of TTFF – only 11.8s on average; however the average positioning accuracy was the worst. This suggests that there is a trade-off in receiver design between signal sensitivity and positioning accuracy .